Many sectors require containment equipment, including the pharmaceutical, electronic and healthcare industries and 2017 was a busy year for equipment suppliers looking to meet new demands. In pharma, the development of more effective therapies for difficult to treat diseases has led to more niche but potent drugs. The global highly potent active pharmaceutical ingredients (HPAPIs) market is set to reach nearly $18.5 billion in 2020, according to the latest report by iHealthcareAnalyst; a subsequent increase in containment equipment investment can be expected. Pharma companies are looking to outsource R&D and manufacturing to one-stop-shop companies that can provide the highest containment levels, with greater process integration and automation, resulting in fewer hazardous manual interventions. 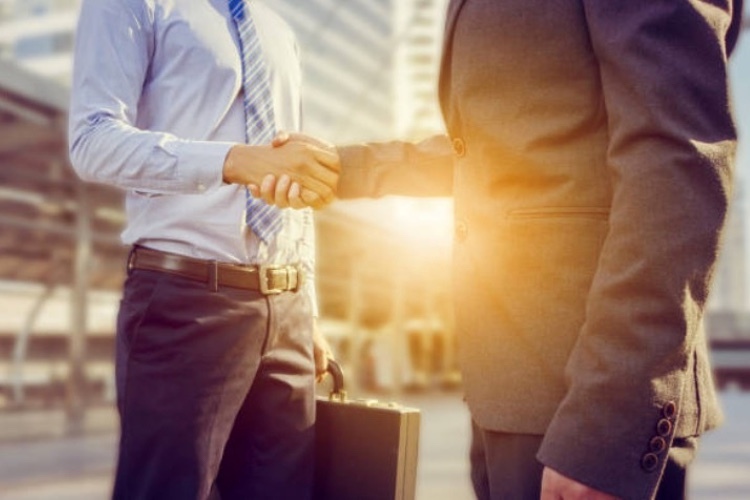 In October, Cleanroom Technology (CT) covered the news that international producer of active pharmaceutical ingredients (APIs), Cambrex, invested US$24 million in a HPAPI manufacturing facility at its Charles City, Iowa plant. The 4500 ft2 production area is designed to operate to an occupational exposure limit (OEL) down to 0.1 µg/m3 and have a total reactor capacity of 2200 gallons to manufacture batches from 50 to 300 kg. The project will also reconfigure an existing small-scale manufacturing area into a high containment building to support early stage development and manufacturing, providing flexibility across a broad scale range. 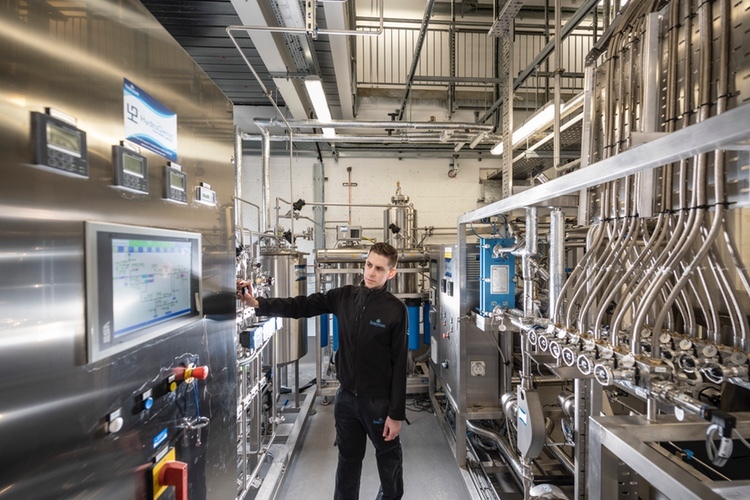 To meet demand for API particle size control technology, solid dose services provider Sterling Pharma Solutions expanded its milling, micronisation and solid form capabilities, investing £6 million in a new facility in Dudley, North East England. By mid-2018, four new milling areas will house a range of new technologies, including mechanical milling, spiral jet milling and small lab scale trial mills. 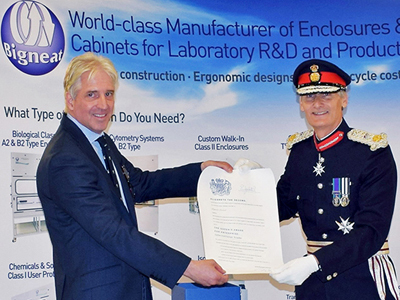 Supporting the company’s expertise in HPAPIs, the facility will provide containment to handle occupational exposure band (OEB) 4 classified molecules and offer ISO Class 8 cleanroom environments. The industry’s need to shorten drug development times is also driving technological advances. The traditional product development route of formulating a solid dosage form for Phase I studies typically involves analytical method and prototype development, short-term stability, process/formulation refinement, validation and finally, clinical manufacture. Manufacturing drug-in-capsule (DIC) is a way to significantly reduce both time and investment at the early stage of drug development, providing faster delivery for first-time-in-man studies. This approach minimises use of costly APIs and reduces the amount of formulation and analytical development necessary to support an investigational new drug applications or medicinal product dossiers. PCI Pharma Services recently invested in fully contained Xcelodose 600S technology, at its contained manufacturing centre in Tredegar, UK. This technology delivers the DIC process, enabling PCI to achieve faster times to first-in-man studies on behalf of its clients. API waste is minimised and batch documentation allows traceability of individual capsules that meet GMP requirements. The Xcelodose 600S technology is further enhanced by a PCI-designed, custom-built Xceloprotect containment system providing an early stage development solution for the management of highly potent molecules. The high levels of containment provide OELs as low as 0.1 µg/m3 in an 8 hour time weighted average (8 hr TWA), meeting Safebridge 3 and 4 categories, preventing operator exposure and meeting the latest regulatory requirements. 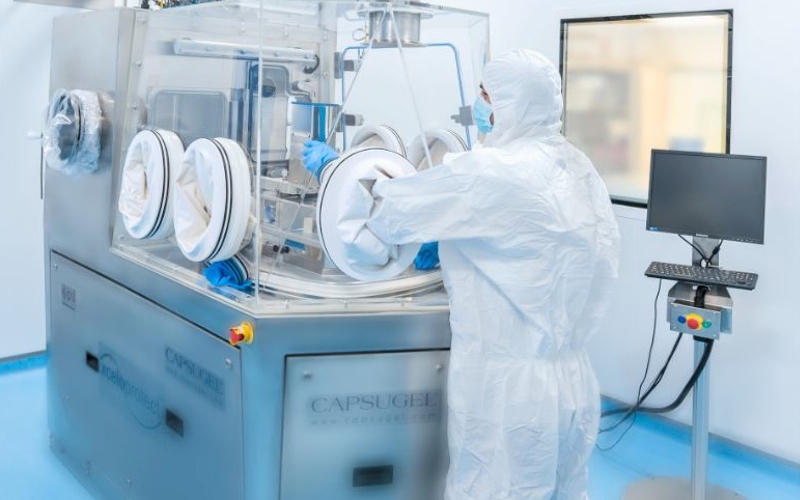 In November, CT reported that Capsugel (now part of Lonza), increased its development and production capabilities for specialised drug products at its facility in Edinburgh, Scotland. The expansion includes further high-containment capabilities for handling HPAPIs at all stages of product development and manufacture. The facility — one of the largest dedicated sites in the world for production of liquid and semi solid-filled hard capsule drugs — is now capable of producing an additional 250 m liquid-filled hard capsules (LFHCs) annually. October featured the updating of Patheon’s sterile pharmaceutical development services suite in Greenville, North Carolina. The updated facilities provide 7000 ft2 of GMP steriles manufacturing space. Sterile liquid and lyophilised drug products will be produced in the newly-built facility, which is fitted out with freeze dryers and a fully-integrated filling line with a restricted access barrier system (RABS) for sterile drug products. The company said the RABS offer flexibility in turnaround time, while maintaining a high level of containment and separation from the environment. Building on insight and experience gained from its site in Ferentino, Italy, Patheon found clients frequently need a number of different sterile formats, which led to the design of the Greenville facility with technologies of varying capabilites to best accommodate this demand. The Greenville site also offers two manufacturing suites in the new PDS area that operate with a 100% disposable product pathway. The investment in disposable manufacturing eliminates the need for cleaning verification for liquid filling and reduces set-up time and product losses. This enhances sterility assurance, accelerates speed to clinic and cuts costs. 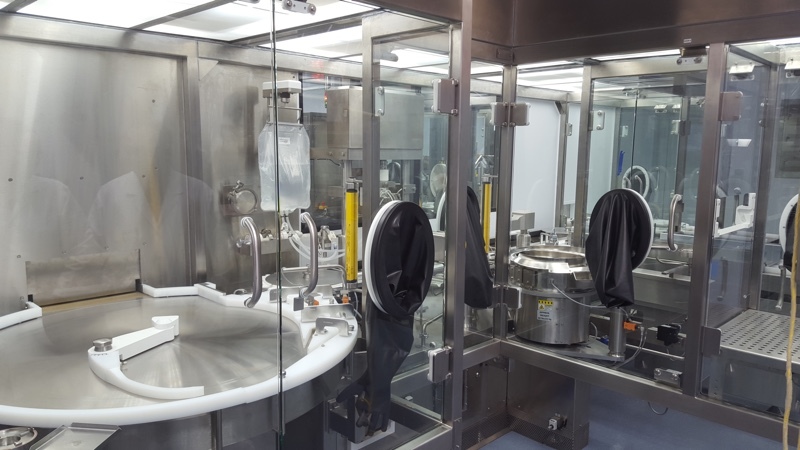 Since Patheon’s clients often need development and production capabilities for HPAPIs, the facility was designed to provide containment in both the cleanroom and on the manufacturing line. It also incorporates an external vial washer in place, to clean external surfaces at the end of the manufacturing process for safe handling of vials. Where in the past elaborate cleanroom facilities have played their part in protecting products and processes, today in many instances, it is more cost-effective to create a localised cleanroom environment. For example, in CT’s December edition, German provider of isolator technology, and toxic and sterile component handling systems Dec Group described a project involving a high containment dispensing and pre-blending system for dry powder inhalation (DPI) products for a Swiss pharmaceutical giant. For this project, Dec supplied a series of three high containment isolator systems that handle HPAPIs to ensure both operators and the environment are protected from exposure to the highly active DPI ingredients. The isolators can perform to a maximum OEL of 0.4 µg/m3 (8hr TWA). The high containment systems have been designed to operate at a negative pressure with air on a ‘once through’ basis, meeting cGMP standards. They are also designed to work within an ATEX 2G/1 IIB T4 hazardous process room. The task consists of weighing and pre-blending both HPAPIs and excipients, then transfering them into intermediate bulk containers. Demand for small isolators and glove boxes that establish cleanroom conditions where needed, is also on the increase. In 2017, German company, Spetec launched a Flow Box FBS or CleanBoy, available as a floor standing or table-top laminar flow unit, equipped with a type H14 filter for 99.995% filtration efficiency, for particles with a size of 0.3 μm. Having laminar airflow, below the flow modules means that there is no crossover with dirty air from the outside and the air moves as a parallel stream, offering a simple and cost effective solution. In the July edition, Cirrus Containments described a contract for five new isolators for a South West England Hospital Trust, designed to enable the hospital to meet demand for new medicines while increasing operator safety. The remit was to provide quality isolator units that would meet the specification issued by the Trust and fit into the radio-pharmaceutical and aseptic areas of the new building. In March, Food and Pharma Systems (FPS) promoted an integrated solution for a jet mill, loop mill and mechanical mill at Interphex, New York. The multi-milling platform can be designed for installation in electric rated areas and with processing of OEB 5 and 6 products if combined with the FPS barrier isolator system. Locating the multimilling station in an isolator is said to guarantee levels of containment down to 40 ng/m3 while operating with interchangeable pilot size mills (spiral jet mills, mechanical mills, etc). While isolators provide high levels of user protection, when using isolator gloves it is crucial to maintain them and check the air-tightness of the gloves. Automation of this process has been ongoing and in 2017, GSK Singapore’s purchase of a Skan WirelessGT fully automated glove tester marked the thousandth model to be sold. Comecer also has brought a glove integrity tester to the market, said to perform leak tests 3% faster than the market standard. Speedy Glove automatic portable glove tester is compatible with all currently available glove flanges and can be used in isolators or RABS where strict separation between the isolated area and the external environment is required. It can perform both in-port and over-port tests in compliance with ISO 14644-7 Annex E.5 requirements. In the February edition, Paul Kilfoyle, PSL Service Manager, reviewed the importance of planned maintenance and good practices to keep high containment isolators and gloveboxes performing as new. If maintenance activities are not planned proactively, then the chance of emergency breakdowns increases, which could result in a loss of production, delayed deadlines, higher costs to resolve the problem, and exposing the facility and workers to a whole range of risks. Performing routine maintenance will not only reduce the risk of loss to the business and its personnel, but will greatly improve the lifetime of the installation, ensuring maximum return on investment to the business, he explained. In April, Michelle Frisch, MD at the Center of Process Excellence (COPE) and Senior Technical Systems Manager, PSL, reviewed how to obtain the necessary attributes for isolators used in analytical roles, where there is a greater need for flexibility and control. She explained the initial process of providing a clear identification of the processes to be completed within the isolator, through to the final construction of a full-scale mock-up at the end of the process to provide the optimum design and desired attributes for an analytical isolator. In 2017, aseptic processing received increased attention from regulatory agencies, driving new investment in compliance. Continuous aseptic processing with fewer manual interventions and reduced maintenance needs has significant advantages and has fast become a recommended practice within manufacturing facilities. In May, SP Industries saw the launch of the PennTech vial washer. Having no moving parts underneath the vial washer base plate, nor gears, belts, chains nor grease points greatly reduces the risk of contamination. The washer's main drive is servo-motor controlled and there are only two moving parts inside the wash chamber: the central column and the out-feed mechanism. PennTech’s design is unlike that of similar instruments, which incorporate many moving parts inside the washing area, increasing the risk of recontamination of cleaned vials. In 2017, US pharma contract services provider AB BioTechnologies selected Vanrx Pharmasystems to provide aseptic filling and lyophiliser loading systems for its new 23,000 ft2 manufacturing facility in Bloomington, Indiana. 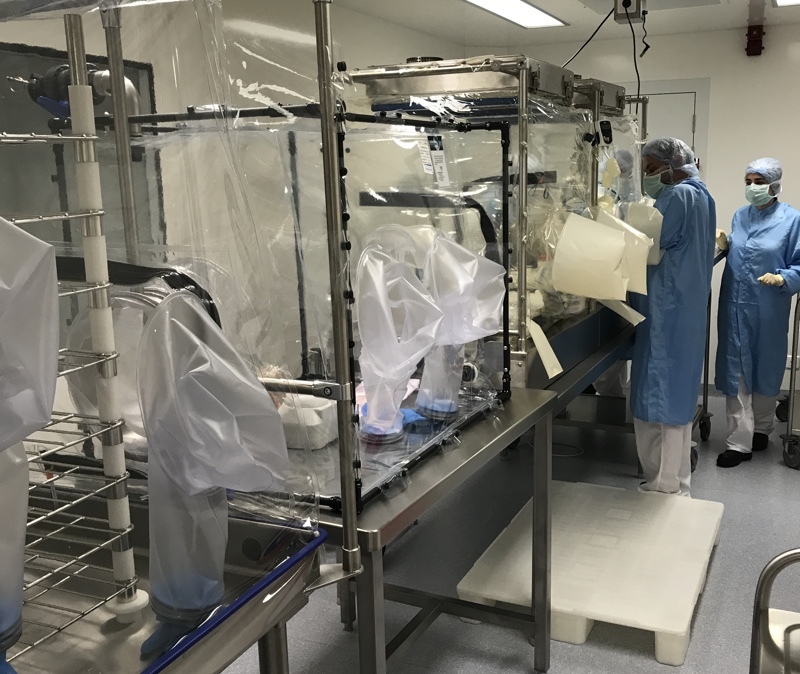 The filling equipment was installed within a prefabricated modular cleanroom from Biologics Modular and attached to a lyophiliser from SP Scientific. The SA25 was due to be installed for liquid GMP manufacturing by Q4 of 2017, with lyophilisation capabilities added in 2018. ESS Technologies of Virginia, US, introduced the SF20 TaskMate robotic aseptic syringe filling and capping system In March. The system integrates a FANUC clean class robotic cell with OEM supplied RABS to create a sterile environment for filling and capping syringes. A flexible feeding system provides syringes to the first robot, an LR200iD clean class from FANUC, which uses vision to pick the syringe and place it on the filling station. The second FANUC LR Mate 200iD robot, picks a cap from the tray and places it into the torque station. A servo driven pick and place unit transfers the syringe from the fill station to the final torque station. In August, CT reported that Bioquell had provided the National Institute for Bioprocessing Research and Training (NIBRT) in Ireland with a Bioquell Qube. 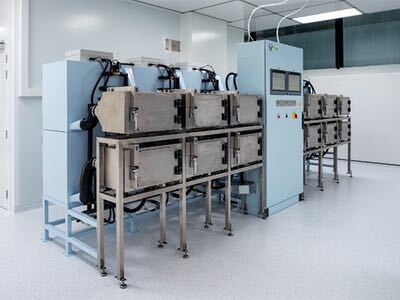 This flexible aseptic workstation took only 12 weeks to complete from order to installation. The modularity of the Bioquell Qube provided a unique solution for NIBRT, with the Qube M19 providing a fill-finish lab. Conventional aseptic filling line technology has been heavily dependent on stainless steel isolator technology, requiring a high capital investment and complex infrastructure. However, in September, Solo Containment, wrote about a single-use flexible, aseptic filling isolator supplied to Amatsigroup. The disposable lab can produce pyro-free vials for small scale clinical manufacture. The system developed by Solo comprises two principle components: firstly, the pre-filled and sterilised single-use flexible enclosure; secondly, an enclosure mounting system and control panel. 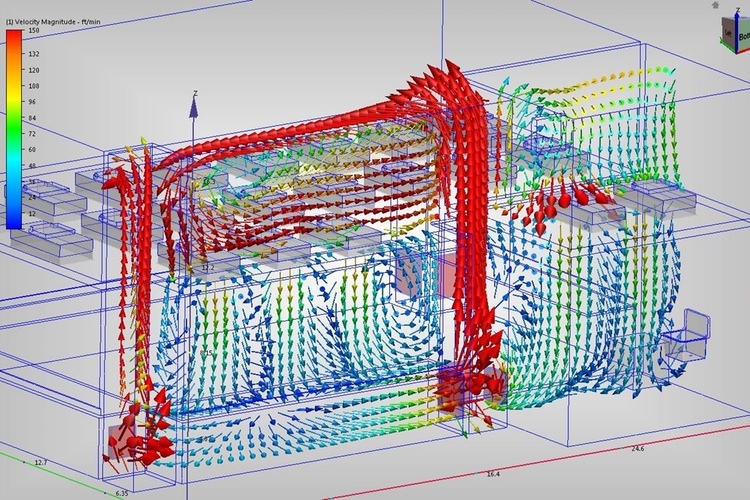 This matrix contains the special ventilation fan array needed to generate high volume unidirectional airflow. Following the success in Bordeaux, the Solo Containment team planned to advance the single-use isolator design by developing lightweight injection moulded air distribution modules that simply clip into the fan array system in minutes, permitting the complete aseptic fill/finish chamber to be changed for a new batch in around 30 minutes. As time-to-market cycles grow shorter, flexible filling systems that can be re-equipped for standard containers are required. 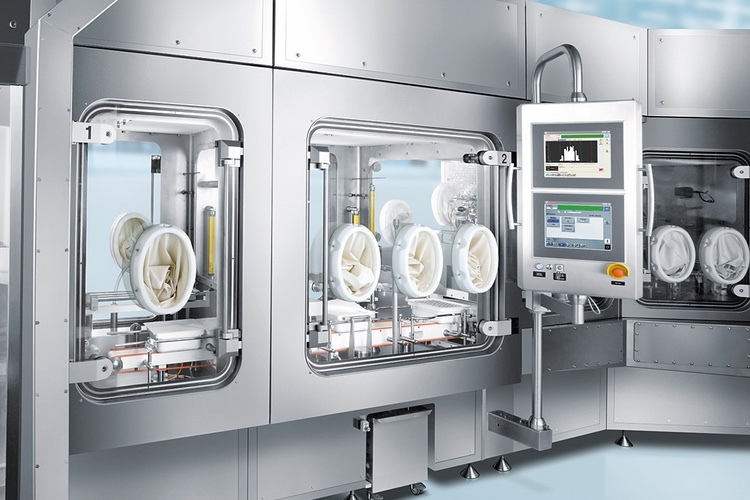 In October, Gröninger introduced the FlexPro 50 ready engineered machine concept to process pre-sterilised, nested and ready-to-use syringes, cartridges, and vials. By changing a few parts, the syringes, cartridges, and vials can be filled and closed with FlexPro 50 in a one line configuration. Interchangeable machine trolleys permit additional line configurations allowing for an integrated nest/bulk process line, which achieves an output of up to 4700 units/hr. Many pharmaceutical producers are under pressure to improve material transfer bioburden control. Many research facilities are using low temperature sterilisation methods to reduce bioburden on incoming materials to ensure consistent research outcomes. However, manual wiping operations, a lack of continuous control, as well as contamination risks while transferring bags of goods from a lower to a higher grade classified area, tend to create bottlenecks. In September, CT covered microbial reduction technology provider STERIS, introducing the STERIS VHP DC-A, atmospheric pass-through chambers for material transfer, designed for use in aseptic drug production and research facilities. Using the STERIS VHP low temperature surface bio-decontamination process, the material transfer system is a an new addition to the company’s washer and steam steriliser product portfolio. 2017 saw a new safe dock valve introduced by Dec Group, which also aids powder transfer, providing a contained solution that is easier to manipulate and operate, as well as having a clean-in-place (CIP) capability. The latest addition to Dec’s Containment out of the Box, powder handling solutions, the Safe Dock Valve allows connection of a powder transfer system (PTS) flexible hose to rotating equipment in a fully contained way, using a unique split valve system. 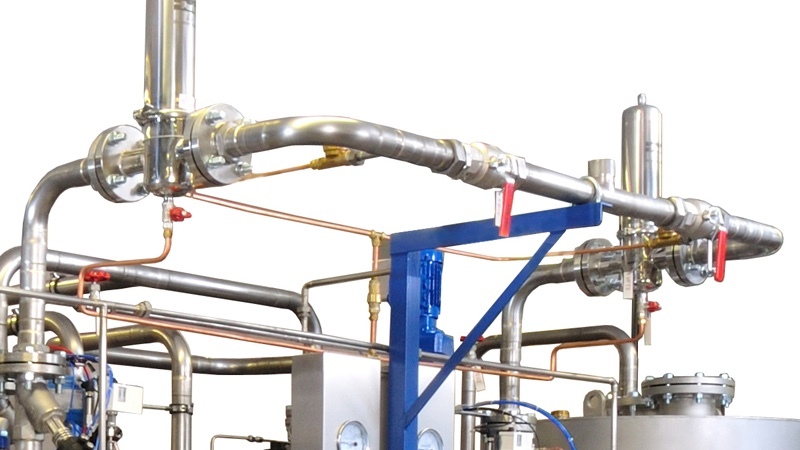 The split valve features a flexible ‘active’ section, hosting all valves and controls that mates with a ‘passive’ section that is rigidly attached to the equipment. This solution is easy to manipulate and operate. One of the most widely recognised means to protect workers from dust and airborne particles are downflow booths. In the July edition, Hosokawa Micron looked at the main considerations to ensure the continuous safe operation of such booths, though regular inspection and maintenance programmes. The article detailed why and how booths should be regularly monitored, inspected and maintained to preserve their installation performance levels. 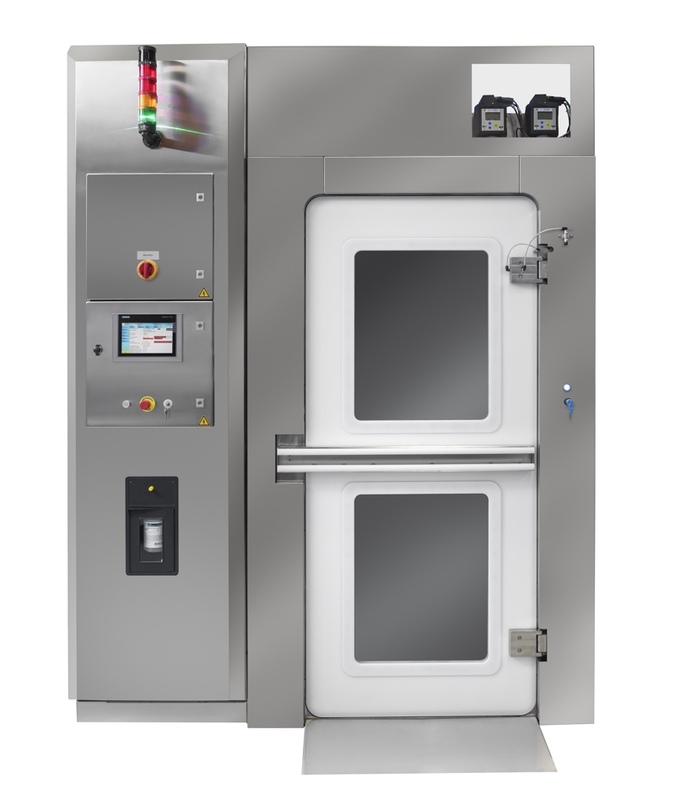 In the May edition, solid dose production equipment provider, Pharma Technology (PTI) introduced a containment version of its completely modular PharmaFlex iSeries 750 dust-tight deduster combined with advanced metal detectors. The advancements of the new containment version build on the efficiencies of the PharmaFlex iSeries 750 dust-tight deduster, which features a patented air jet and vacuum concept; circumferential dust extraction on the spiral periphery combined with central air jets for extremely efficient dust removal. 2017 saw investment in biocontainment at many research facilities. In August, investment in a BSL 4 facility on the US, Texas Biomedical Research Institute campus was reported on in CT. Texas Biomed’s current lab is the only privately owned BSL 4 facility in the US. 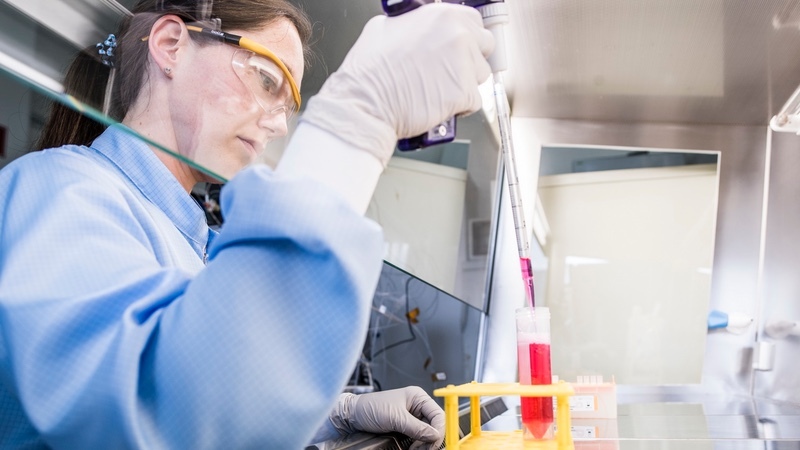 The construction of its second BSL 4 lab expands the facility’s capabilities in developing vaccines and therapies for the world’s deadliest infections. US-based BNBuilders, meanwhile completed the remodel of a BSL 3 containment facility for the University of California’s Riverside School of Medicine. The US$2 m project involved converting an existing lab space into a BSL 3 suite. The 1383 ft2 remodel included an anteroom, gowning/de-gowning room, shower area, procedure rooms, autoclave, biosafety cabinets and other specialised equipment. 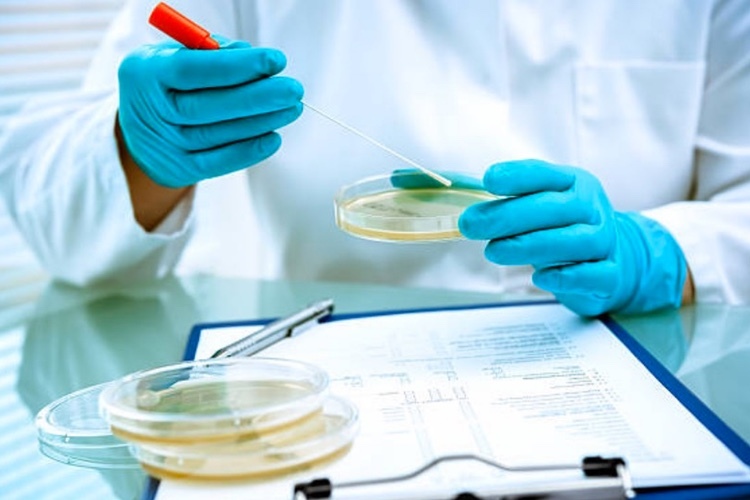 Growing demand for research into human and animal diseases, along with the potential threat of bioterrorism, has seen an increased number of biosafety containment labs being built globally. Handling the pathogens necessary to produce the vaccines poses risks, if materials and processes are not contained properly. As a consequence, while years of research into polio and the production of a vaccine has led to an almost worldwide extinction of the poliovirus, the now used and stored samples of the virus in research facilities form a potential risk. Bernard Melchers, Containment Consultant, Deerns Nederland, wrote in February about the New GAP III guideline that set higher standards for research facilities. The World Health Organization (WHO) set up a plan to reduce the total number of research facilities that use the poliovirus to a limited number of certified research facilities. These ‘essential locations’ must comply with specific measures to reduce the risk of polio reintroduction to a minimum. A Global Action Plan (GAP III) has been introduced that offers a set-up of a Bio Risk Management System, which can be used as a framework. The requirements are similar to the requirements of a BSL 3 laboratory. 2017 was also a year of record-breaking hurricanes and natural disasters, including floods, fires and earthquakes, highlighting the need for biocontainment labs to be able to withstand extreme conditions. 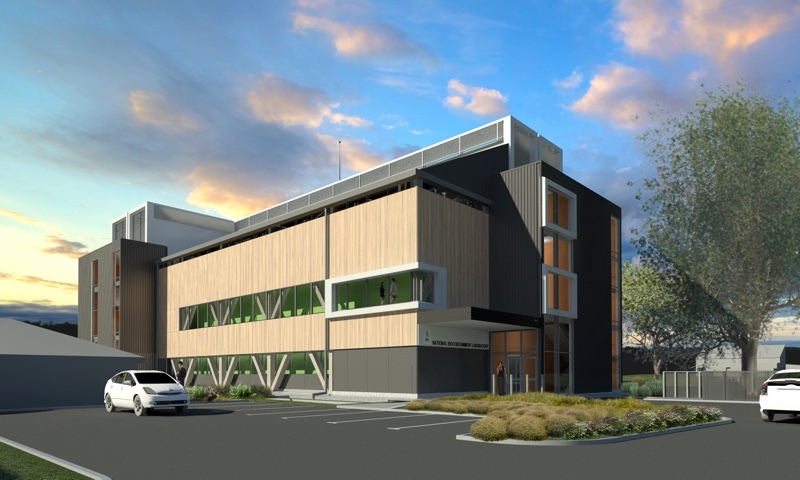 In February, CT covered a new National Biocontainment Laboratory being built for New Zealand’s Ministry for Primary Industries, to diagnose exotic animal and human diseases. The NZ$87 m lab was to replace the Ministry’s existing WallaceVille, Upper Hutt facility. The new design, led by US-based Merrick & Co, meets the same seismic protection requirements to withstand an earthquake as hospitals, airport control towers and water treatment plants. It has its own generator, effluent treatment plant and water storage plants. Construction is due to finish mid-2018. While pharma and biopharma producers are focused on quality, safety and drug efficacy, they are continuously challenged to reduce cost and improve manufacturing efficiencies. To do this the industry must constantly innovate, retaining a competitive edge, while also satisfying clients and meeting regulatory demands.